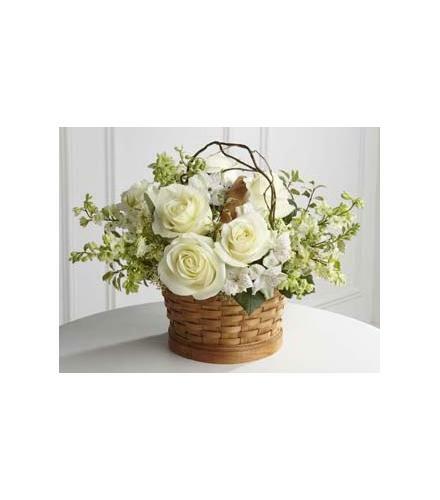 Peaceful Garden Basket offers warmth and comfort through its display of snow-white blooms. 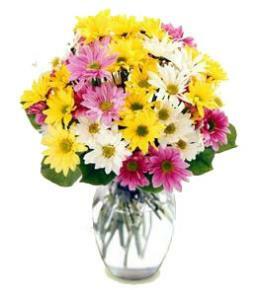 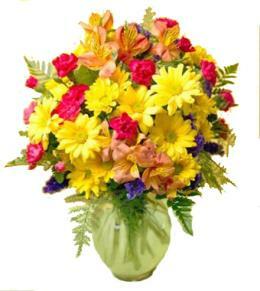 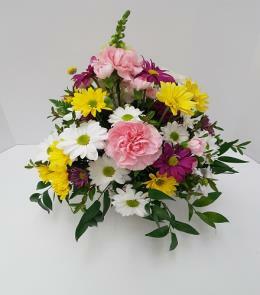 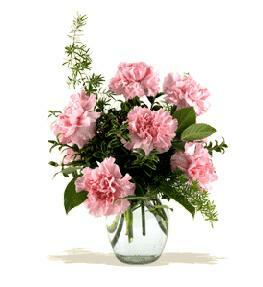 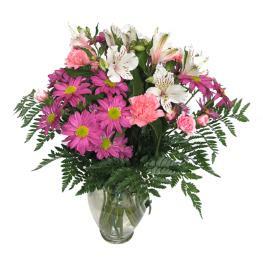 Roses, larkspur and Alstromeria lilies are accented with curly willow tips and an assortment of lush greens. 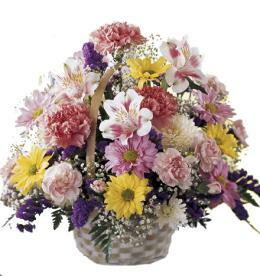 The bouquet is artfully arranged in a natural round basket, creating the perfect way to convey your wishes for peace and tranquility.White Flowers Peaceful Garden Basket S9-4456.